“We know what’s at stake, and the guys know we have to get better defensively," head coach Russ Lawson said. 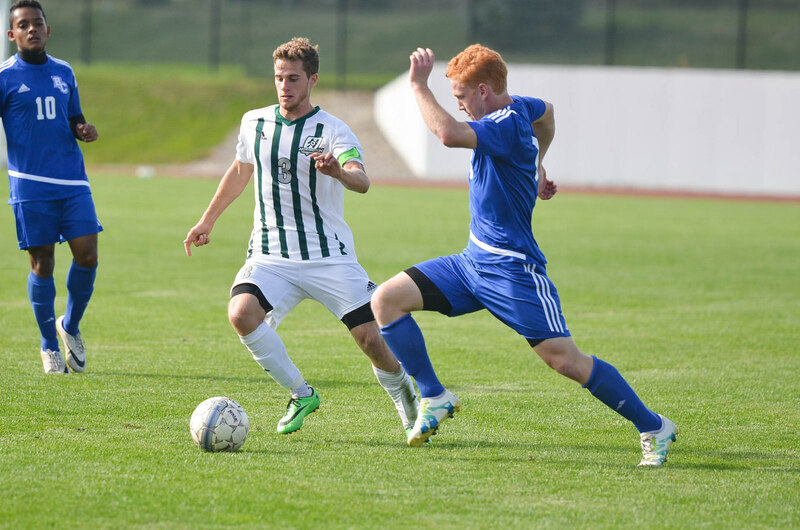 The men’s soccer team ended their regular season play with a loss to Taylor University on Oct. 22. The Trojans had a 2-0 halftime lead, and the Foresters could not regain the lead in the second half. They did play with Taylor in the second half, though, as each team scored a goal apiece. Huntington’s goal came in the form of a header by junior Hayden Suter off of a corner kick from Matheus Louzada. Huntington heads into post-season play 7-9-1 overall and 5-4-0 in conference action. The Foresters have an opportunity to seek revenge against the Goshen Maple Leafs Oct. 29 in the first round of the Crossroads League Tournament. Goshen defeated Huntington in regular season play with a 2-1 overtime win. Huntington will play host to the Maple Leafs, as the Foresters finished fourth in conference and earned a home game for the first round of conference play. Lawson said the Foresters are coming off of an intense, upbeat week of practice and are optimistic about Saturday’s game. Senior Isaac Wust said the Foresters are hungry for redemption against Goshen and that he has been able to feel the energy at practices the week leading up to the game as well. The Foresters have had one of their most successful conference seasons this year, Lawson said. His team turned the season around when conference play began, entering 2-5-1. They winner of the Goshen/HU match up will face the victor of a Taylor/Bethel game.